Web application single sign-on solutions have been some of the hottest tools in the IT market over the past five to seven years. Often called first-generation IDaaS (Identity-as-a-Service) platforms, these solutions have been leveraged at organizations both large and small. The vision of the IT admins who employed these SSO tools was to centrally control access to web applications and give end users a simpler way to connect. This is a one-dimensional approach, so neither IT admins nor end users are given the level of control that they want. The implications of web application SSO are important for IT admins to understand. Web app SSO emerged over the past decade in a unique environment. Microsoft largely owned the identity and access management marketplace, and their Active Directory platform was a monopoly in the market. As a result, when web applications emerged, a number of vendors jumped on that as an opportunity. Microsoft was slow to connect Active Directory with web applications – ultimately leveraging AD Federation Services to help and, most recently, Azure Active Directory. Web app SSO providers flourished and solved a latent need. These solutions were based on the fact that Active Directory existed as the central identity provider. As the market has shifted and Active Directory is being replaced by next-generation IDaaS platforms, such as Directory-as-a-Service®, IT admins are rethinking their SSO strategy. Historically, SSO solutions were only of use with web applications while AD handled the internal Microsoft Windows environment. Today’s IT environment is far more complex, with Windows only accounting for one in five devices (Forbes). Now that Mac and Linux devices are popular in the enterprise, Active Directory isn’t the best solution to manage user access devices to those platforms. Cloud infrastructure is a significant part of what users need to access – and that’s often leveraging multiple providers, with Linux as the dominant platform. Even the internal network is no longer thought of as the ‘domain’, and this is due to how WiFi networks are changing the view of the internal network. All of these changes are forcing IT admins and end users to rethink their strategy with web application SSO. 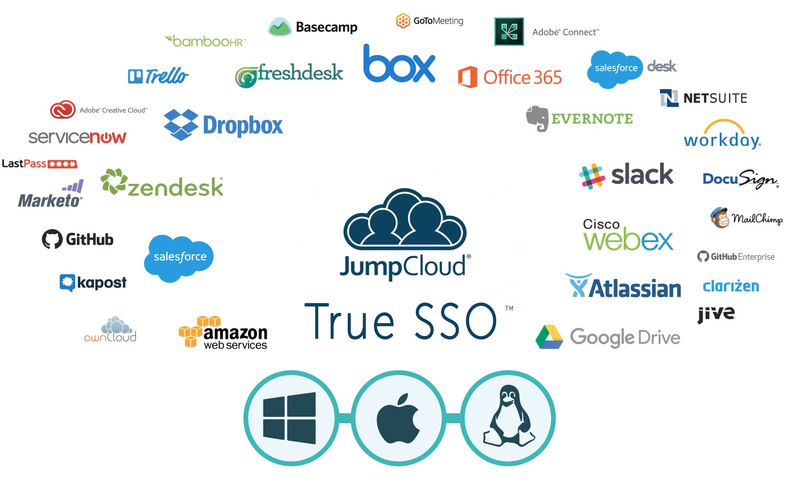 Modern organizations are leveraging the concept of True Single Sign-On™. An independent identity provider is now handling user access to systems, applications, and networks regardless of platform, provider, protocol, and location. 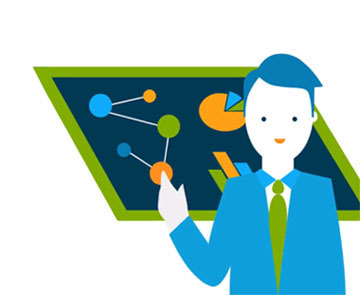 A single set of credentials is all end users need to access the IT resources they need. IT admins have the ability to centrally provision, deprovision, and modify user access from a web console. The benefits for both groups are significant. 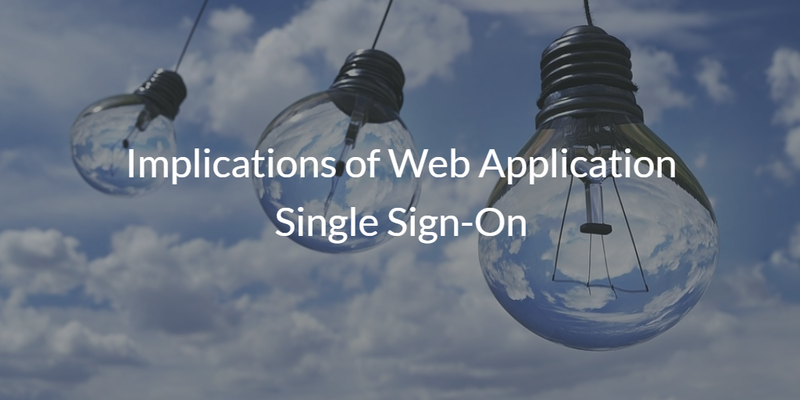 If you would like to learn more about the implications of web application single sign-on and the benefits that True Single Sign-On could bring to your organization, drop us a note. Additionally, please sign up for our True SSO solution called Directory-as-a-Service. Your first 10 users are free forever.